Join like-minded creative business people, innovators, researchers and entrepreneurs to stay informed and connected. 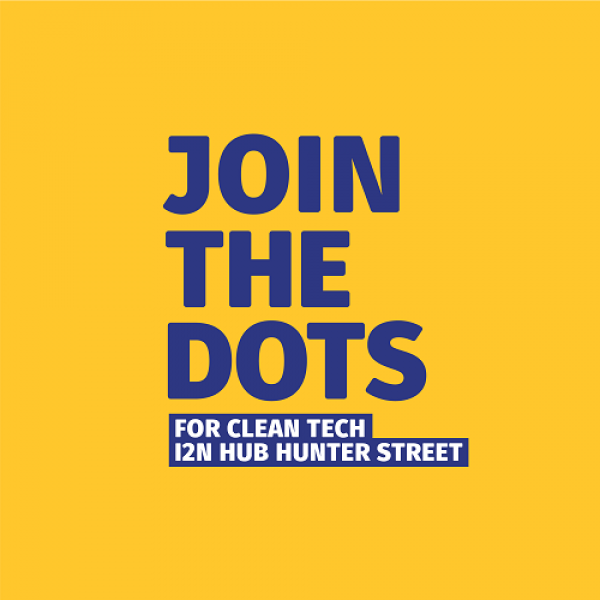 For March's Join the Dots event, the I2N is helping develop connections between individuals interested in or working in Cleantech. A short and sharp series of pitches from entrepreneurs, SMEs and researchers kicks off the event followed by informal networking to help you join the dots for future collaboration. Cleantech refers to any process, product, or service that reduces negative environmental impacts through significant energy efficiency improvements, the sustainable use of resources, or environmental protection activities. This month's Join the Dots theme ties into the upcoming New Futures Hackathon for Disaster Resilience (10 May) which is seeking solutions to reduce or respond to the impact of climate change.